Here we post News around the label, upcoming and downcoming events, and other notable remarks. 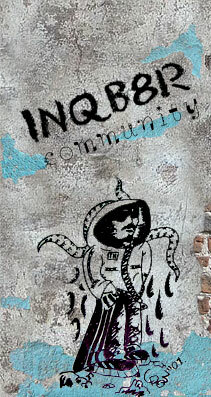 Any kind of questions, suggestions or impressions about INQB8R artists are discussed here. The section related to our artists' releases, where it's finally possible to express your opinion on their music. If there is something you would like to ask or suggest directly to INQB8R owners, post here. Online or offline events to discuss, in the future or past. If there is something must-see or must-hear you have discovered on the web, don't hesitate to share it with others in this section. Something which comes to mind and you would like to spread out that does not fit in the above subjects.